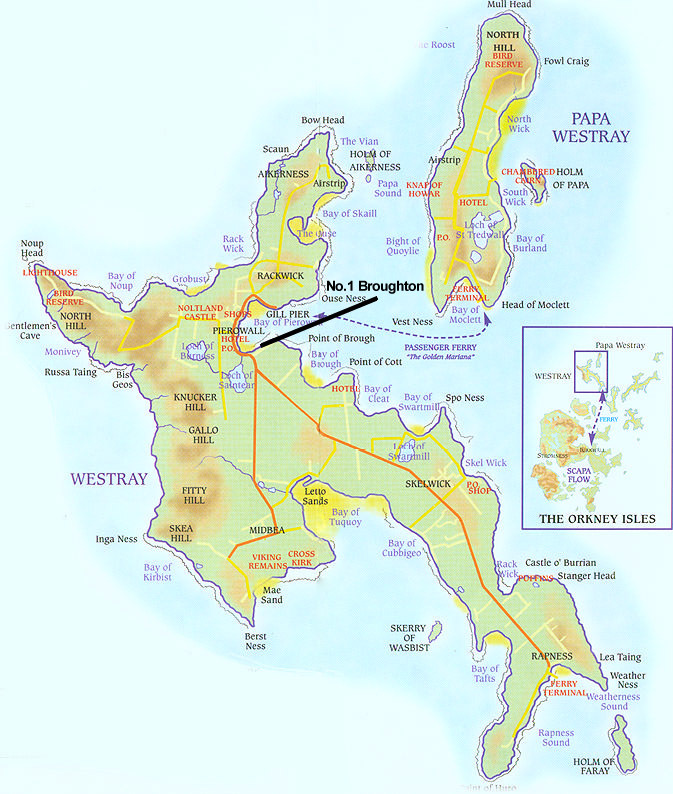 Travel to Orkney is possible in several ways - by flights to Kirkwall (and then onward to Westray) or by ferry (Scrabster-Stromness, Gills Bay - St. Margaret's Hope, Aberdeen - Kirkwall, or the passenger only ferry John o'Groats - Burwick). From Kirkwall, Orkney Ferries run a regular service which takes you through the archipelago to the "Queen of the Isles", Westray. From Rapness terminal it is just a 15-minute journey to Pierowall (the island bus meets all ferries if you are without a car). As you drive down the hill towards Pierowall watch out for a right turning as the main road bears sharply left. You will see No. 1 Broughton approximately 100 metres ahead next to the shore.